It is more likely that you have seen a habu snake in a bottle of local rice liquor Awamori, in Okinawa, than that you’ve spotted one slithering by the wayside. Even so, habus are very common in the Ryukyu islands of which Okinawa is a part. Okinawa is home to three species of habu; the Okinawan habu (Protobothrops flavoviridis), endemic to the Ryukyu islands, is highly venomous. The Okinawan habu is endemic to the Ryukyu islands of Japan. 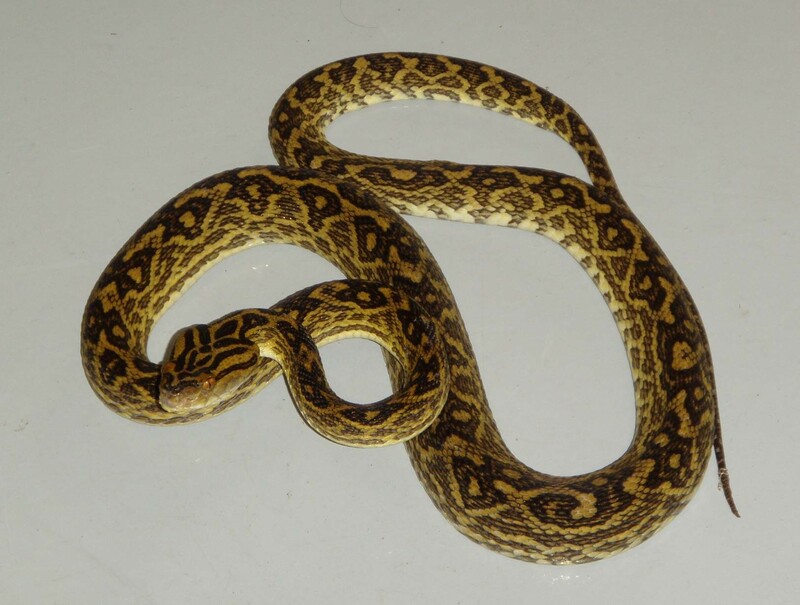 It is the longest and the most venomous of the three habu species found in the region. A collaborative team of scientists from many research institutes and universities across Japan have now mapped the entire genome of the Okinawan habu, including the genes involved in venom production. Professor Nori Satoh and his team of researchers from Okinawa Institute of Science and Technology Graduate University (OIST), were a part of the study, which was published in Scientific Reports. Snake venom has attracted the attention of many scientists worldwide as it has tremendous potential in the development of new drugs. The findings from this study might help advance efforts to identify novel therapies for treating ailments such as cancer, cardiovascular diseases and many others. The Okinawan Habu can produce a large amount of venom. The venom is hemotoxic and destroys the blood cells and tissues of the prey. Nearly 50 people – most often farm workers tending crops in fields and orchards – are reportedly bitten by habus every year in Okinawa alone. The venom of the Okinawan habu is hemotoxic, destroying the blood cells and tissues. Though antidotes are now available, bites can still cause severe pain and permanent tissue damage in humans. 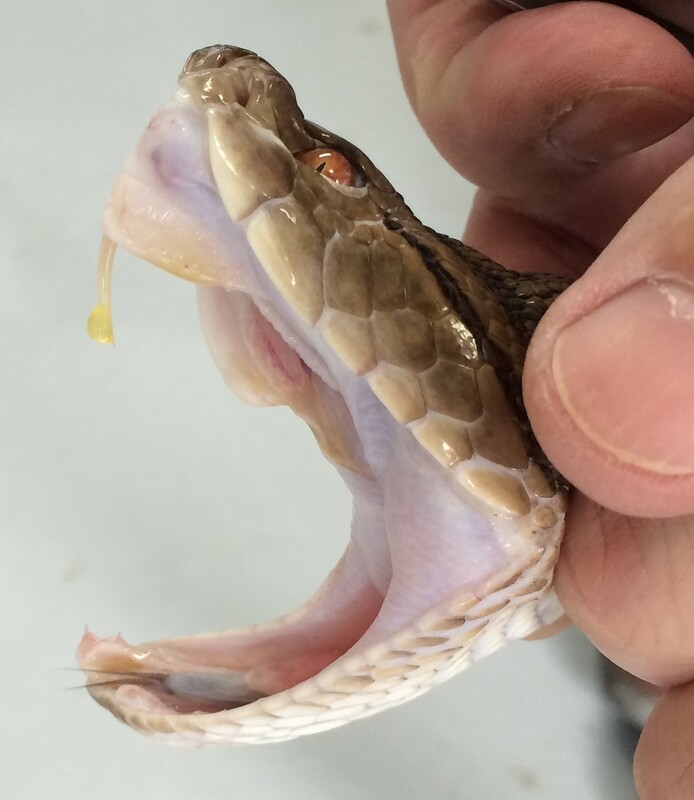 The scientists hope the results of this study will help develop more effective antidotes and treatments for habu bites. “The findings of this study are very important, especially to the people of Okinawa and the surrounding islands where the Okinawan habu is found,” says Prof. Satoh. Snake venom is a cocktail of complex proteins. “Though the Okinawan habu is not as venomous as cobras or taipans, it can produce a large amount of venom - up to 1 ml,” says Prof. Hiroki Shibata, a collaborator from the University of Kyushu. Its long, sharp fangs help discharge the venom deep inside the prey, he explains. The researchers explored this venom’s evolutionary history by constructing a phylogenetic tree of venom genes including those that they identified in the habu. A phylogenetic tree helps illustrate the relationship between two or more organism groups by identifying the similarities and dissimilarities between them. The distance between the groups in a tree translates to different degrees of relatedness between them. The groups that are closely placed are more related to one another than those placed further away. Venomous snakes across the world belong to one of the two families; Viperidae or Elapidae. The members of the family Viperidae, including the habu, have venom that is toxic to blood (hemotoxic); whereas the members of the family Elapidae, such as cobras, have venom that is toxic to the nervous system (neurotoxic). In this study, the researchers found many common components among venom genes of both families, thereby tracing back the origin of the present-day venom toxins to a common ancestor that existed millions of years ago. “The venom gene copies originated a long time ago, possibly at the early stage of vertebrate evolution,” explains Prof. Shibata. The scientists believe that combined information gathered from venom research so far, will help unravel the enigma behind the process of venom production in snakes. Members of the OIST Marine Genomics Unit and the DNA Sequencing Section were a part of this collaborative study. From left to right: Professor Nori Satoh, Ms. Kanako Hisata, Dr. Ryo Koyanagi, Mr. Shinichi Yamasaki, Mr. Manabu Fujie and Dr. Takeshi Takeuchi.